Football is not just a passion for millions of people around the world; it’s a lifestyle now. We do not only love football, we live it. The teams we support, the players we love are all part of our very souls. No power in this world can take it away from us. Among the many renowned companies who tried to come up with football simulations, Konami stands tall. From the very first Pro Evolution Soccer released in 2001 to PES16, there lies a story of tremendous achievement, advancements, and realism to the simulation. There was a time when gamers used to think EA Sports have taken over this genre with their FIFA series. But PES is now too big a hurdle for EA to make such claim, and a very strong contender to be the greatest soccer simulation to this date. You may wonder why, though. FIFA, as a game, has everything a gamer can desire. But when looked at from the perspective of a football fan, PES slightly gains advantage with some of its gameplay features. Among these features, the first one that comes to my mind is myClub. 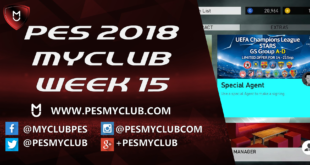 For those who are unfamiliar with PES myClub, it’s where you build and manage your very own team. Unlike other simulations, teams are not prebuilt here. You start everything from scratch. The game provides a bunch of low rated random players, enough to start the team, and players eventually make their way up by winning completions, signing up new and star players, hiring managers and so on. Let’s elaborate. 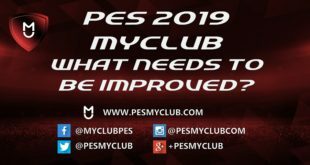 There are six basic features to PES myClub: VS COM, DIVISIONS, DIVISIONS (SIM), Club Competitions, Online/VS COMM Challenge Cup, and most importantly the Contract panel for signing and hiring players and managers. In VS COM, players play against the AI in five difficulty modes, Amateur, Regular, Professional, Top Class and Super Star. When starting myClub, players begin in Amateur mode, and eventually get promoted to higher difficulties by winning a given number of matches. It’s very rarely that players get demoted to lower difficulties when not winning matches. In Division, players take part in a league based competition which consists of twelve divisions. In each division there are certain matches that need to be played in order to acquire the points needed to get promoted to higher divisions. Matches played are equally divided into home and away grounds. Divisions (Sim) is a completely different ball game. 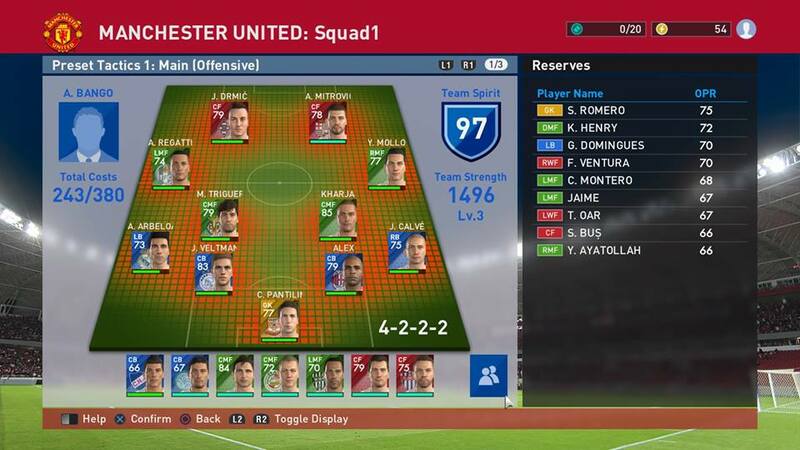 It is mostly a managerial mode and players can only control the selection of players and the team strategy they follow. The team playing at home usually gets an advantage, while away matches are difficult to win if team spirit is low. Speaking of team spirit, it can be a tricky thing to handle, because a bunch of star players in a team can build lower spirit than a team without any star player in it. For instance, if you’re playing with a 4-2-2-2 formation and you have Cristiano Ronaldo in the team, he’ll lift up the team spirit higher if played in a LMF position rather than a SF for being a LMF type player. A LWF is mostly required when playing in a 4-2-1-3 or 4-3-3 formation, so, Cristiano Ronaldo, even having a higher rating than a striker, won’t lift up the team’s performance. 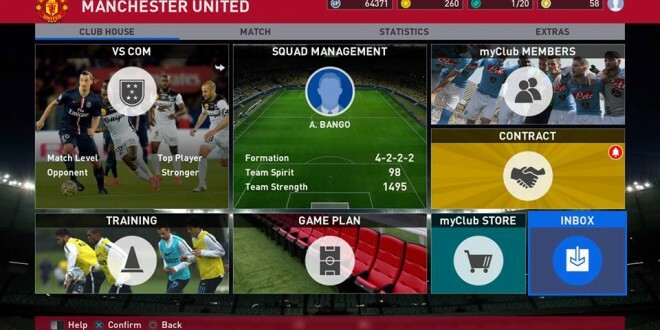 Speaking of performance, players can test their team in the Club Competition modes. 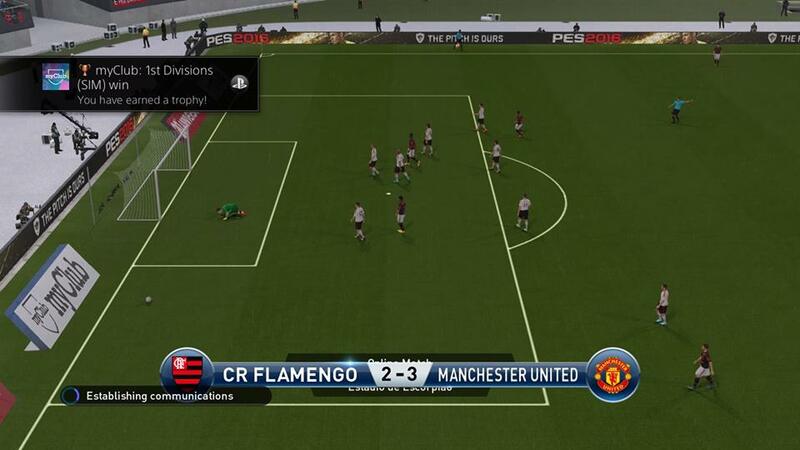 PES 2016 offers three types of competitions: Online, Weekly Tournaments played against human opponents and Custom Competition playable in VS COM mode. Each competition ends with certain rewards, either myClub GP (game points) or special agents who can sign highly rated players. Apart from these, myClub’s concept is basically a micromanagement system which is the backbone of the feature and connects all the features together. After each match players are rewarded precious points, and one agent. Points can vary based on match results, while agents are randomly given. Agents are given specific traits, such as being better at recruiting players under the age of 24-28, or players from Europe, or players for a certain position, etc. Before opening the lottery system for signing a footballer, three suitable agents can be combined to sign a specific type of player. For instance, if you’re looking to sign a LWF from Spain then you can select agents with related traits. In this lottery system, however, nothing is certain. A few numbers of balls roll in the screen, and players get to pick only one. There are five different types of ball, White, Copper, Bronze, Gold, and Black. White balls represent the weakest and black balls the star players. And it’s completely dependent on luck which ball ends in the selected slot. After the lottery, players can be sold or converted into a trainer if not suitable for the team. Anyway, to strengthen a team, high rated footballers are essential, and to do that players must spend 10,000 hard earned points on a special agent to open the lottery system. 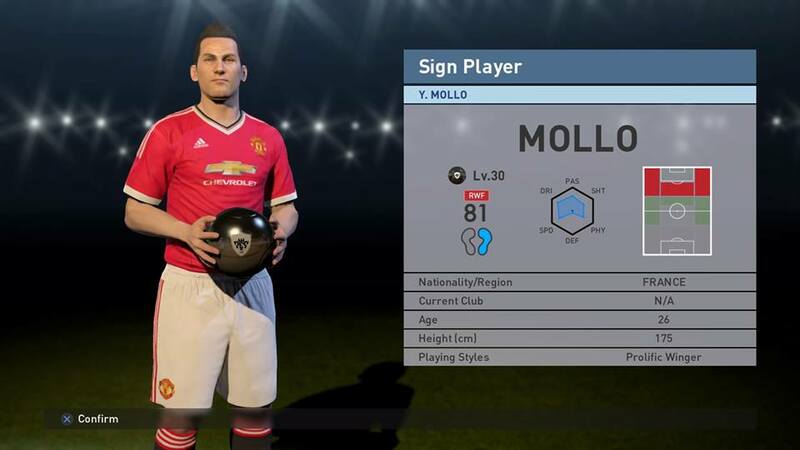 These special agents only come with Gold and Black balls and chances of signing a good player are very high. It can be utterly frustrating when a good player hasn’t been signed after several special agent lotteries. myClub GP and Coins are the two most precious things in the game. GP can be earned though playing games, performing special tasks in and outside a match such as scoring from a corner/free kick, or signing x number of players in a team. But despite signing new players, players are forced to spend GP in other ways too. Each footballer’s contract has its own duration, and after it expires, even though he remains in the team, he won’t be able to play. So, in order to play him, players must extend the contact for an extra period of time. The same can be said about managers. For them, however, there are targets given for automatic contract renewal after twenty five matches. Should they fail to achieve those goals, players will have to sign a new contact with that manager or sign another, new, manager. 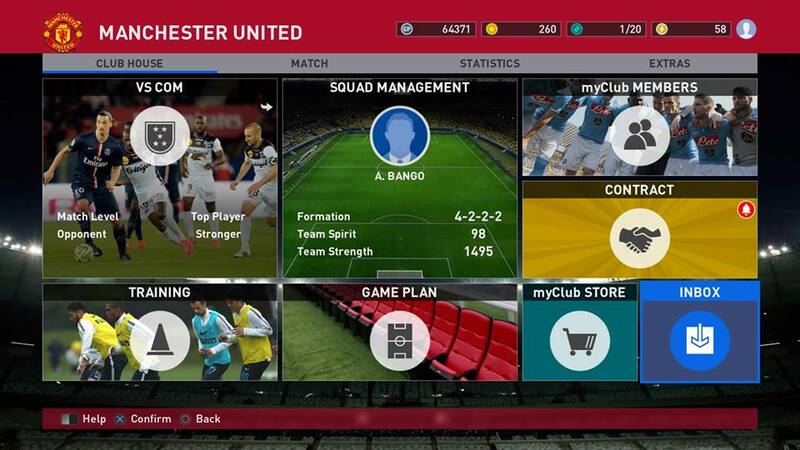 Unlike the footballers, players can pick a manager for the team based on their preferred formation and playing style. Each manager has their own playable formations which can’t be altered. So before hiring a highly paid manager, players must make sure they are comfortable with his methods. For instance, if a player likes to play in short passes and build up the play towards the opposition, then a manager with focus on long pass won’t lift up the team spirit. During a match, managers have the ability to change formation from attacking to defending or vice versa depending on the situation. Training players in myClub is a new feature introduced this year, adding more of a RPG like feeling to the game. Young players can now develop and make their way towards the top. After each match, players earn points based on their performances and their abilities improve alongside their levels. Young players develop quicker than already developed players, and to develop them further, a trainer can be appointed. Sadly however, a trainer only trains one particular player for a single time before leaving the club. Players can be converted into trainers if they’re no longer used in a team. The higher a player’s rank, the better he trains. However, once converted into a trainer, they can’t be converted back to a player. So why is the myClub feature so special? The answer is simple. It’s not just a managerial mode that lets you control any existing team, but one that allows building your very own. And in the process of doing so, you get attached to your creation and continue to improve both the team and your skills. myClub emphasizes a lot on developing player’s skill with fast paced passing and high pressing from the AI. It brings realism to the simulation where every other game fails. For those who love football, PES myClub adds that extra bit to aid the passion. Players get attached to building their teams, as the joy of winning trophies, rewards, and frustration of sore luck in the lottery system are all part of it. The ladder of glory in the myClub community is pretty high and it requires hard work to make your way towards the top.